We are going to look at Aqua at some point, under reader pressure! Yes, all Comair flights are BA codeshares (I think) so book a redemption on ba.com as usual. Great article but would be useful to see a comparative exchange rate – e.g. a table for a given day showing the exchange rate to key currencies for each card. 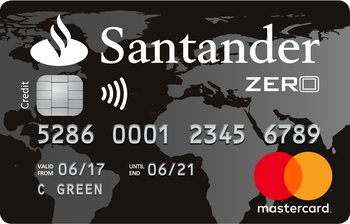 While one card may have no fees, if it has the worst exchange rate, you could still be losing out in the end. They use the standard Visa and MasterCard settlement rates which are published on their respective websites. See MSE article link that Genghis provided in comments yesterday for comparison between the main networks – rough summary was MC best, followed by Amex then Visa. 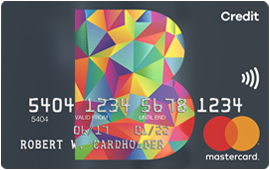 Personally I’d use my Monzo, Revolut or Starling card – suddenly the withdrawal limits are less of an issue when you have multiple cards! I’ve read many articles on how to best spend GBP abroad or move GBP to other currencies abroad. I’m a bit in the opposite situation. Moved to England 5 years ago and I still have savings in EUR in a French bank. Any advice on the best way to bring my EUR from France to my UK account in GBP? I know of course transferwise, wester union, etc… but wondering if there is a better/cheaper way (minimum fee, good rate) with the likes of Starling bank? Check out HIFX, I’d recommend them for a simple currency transfer as they have sharp rates and no fees (it’s all in the rate). And yes – easy to transfer from your French bank EUR a/c to UK bank GBP. I haven’t seen any advantages in using the likes of Starling for this kind of money transfer. Thanks Harry for the advise, I will take a look. Did you mean something specific by ‘simple currency transfer’? Maybe related to the amount (as in few thousands ok but better options if higher)? You get slightly better rates if higher amount, yes. Always worth comparing (say) 5 different providers. A lot depends on your needs & attitude. Eg if you firmly believed that the pound is weak and will strengthen vs EUR over the next few years – and that’s when you plan to use the money – you might be happy about fixing a great rate now EUR-GBP and transferring the lot across. Or if you didn’t think that (or if you didn’t need all the funds in GBP right now), you might be happy to leave it and slowly trickle the EUR into GBP as and when you needed it. I’m in the same boat in some ways and have concluded you can’t win all the time! I have 2 centres, UK and place in the sun. I want to spend a lot more time abroad, much at our place in the sun & also travelling, as I hit the next 20 years (I’m 55). Hopefully making place in the sun my retirement home but also worried about health concerns and maybe staying UK resident to get NHS benefits. The currency you keep your assets in is rather important to your future ease in that scenario. But having watched our currency pair like a hawk these last 20-odd years, I do pretty much get it right in terms of working out which is weak and which is strong. So transferring funds from one currency to another becomes a way to cushion the effects of inflation etc or I just take advantage of relative strength/ weakness to transfer over more one year than others (for maintenance/ spending needs etc). Revolut is good in my opinion. You can make SEPA transfers in and out of revolut in any currency for free. Making a currency exchange within the app across wallets is done at inter-bank rates. You can also hold a balance inside the app. Sorry MarkH, my fault…thinking of a recent visit to India. You are of course correct, in Europe, change to EUR and no 1%. I use Curve for Lloyds ATM and Lloyds Amex and/or M’card for regular transactions……suits us for Avios. I have a Post Office Credit card that I have had since 2007. I use this for all my non-Sterling spending. I also have a Halifax Clarity card that I use for foreign ATM withdrawals. I then pay this off immediately and pretty much eliminate interest. Thus I pay essentially no charges for changing currency when abroad, which is great. (Those local ATM charges that you get in some places are annoying, however). I like to carry two no-fee cards to keep cash and card spending separate. I find this easier. Your mileage may vary. Yep I’ve had PO MC for over a decade now too! Don’t use it nearly as much now given other options but always good to have a backup when abroad – also sometimes use it as a guarantee/deposit card, eg for ski hire, then pay the bill with Amex at the end of the rental. 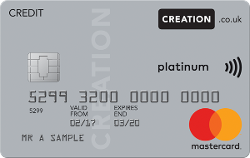 The Barclaycard Platinum Travel credit card is the best deal for the next 4 and a quarter years. By August 2022 The whole scenario will have changed. 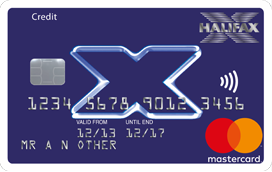 The Halifax Clarity credit card in practice is as good as long as you pay off cash withdrawals balance as soon as possible. Am I the only one struggling to get excited by all of this. I’ve take cash out twice in the last 3 years of travelling for work and leisure. That was Belgium and Tel Aviv. I’ve got my Monzo and also a Curve card linked to IHG mainly. Also have Lloyds Avios but that is recent. Everything goes on the card when away. For the sake of 1% means I’m racking up miles too. As I mentioned before, assuming you keep your Gold Amex card for 12 months to get the 10,000 point bonus for £15K spend, you effectively earn 2.67 MR points per £1 spent abroad, so using it to buy £1000 of stuff abroad has cost you net £3.30 (valuing MR points @1p). Hardly going to make me lose sleep. Especially as I get a lot better than 1p value out of those points when I redeem. I don’t have one – Curve is good enough for me for the little bits of cash I take out abroad. Horses for courses though. Trouble with ATM withdrawals on Curve is the £2 flat fee + 1%, making small amounts quite “expensive”. 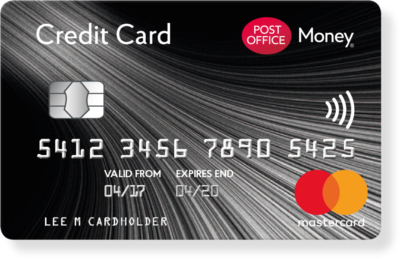 What’s the difference when using Lloyds Avios MasterCard and Amex abroad? Does Amex give a lower rate? Thanks. Since I just got the card and was using Amex in my holiday, just wanna make sure I used the right one. Definitely used the Amex. The exchange rate might be marginally worse but both are fee-free and the Avios earnings rate is much higher on the Amex! Thanks! Yea, couldn’t find the exact rate they use but did most with Amex, unless the machine doesn’t like it. The extra Avios earned on the Amex will almost certainly outweigh any small FX rate difference.